A music festival, and it’s much more than just a free live gigs. Keynote speaker Alan McGee (former manager of Oasis and Primal Scream) will be joined by author and music critic Neil McCormick for a Q&A session. Production and A&R masterclasses will be provided by industry veterans Nigel Grainge, Rupert Hine and Alex Von Soos. If you’re serious about a career in the music business and find yourself in Dublin this June the conference is a no-brainer, and at €20 for an all access pass you can’t go wrong. Tickets are are selling fast, book yours now. 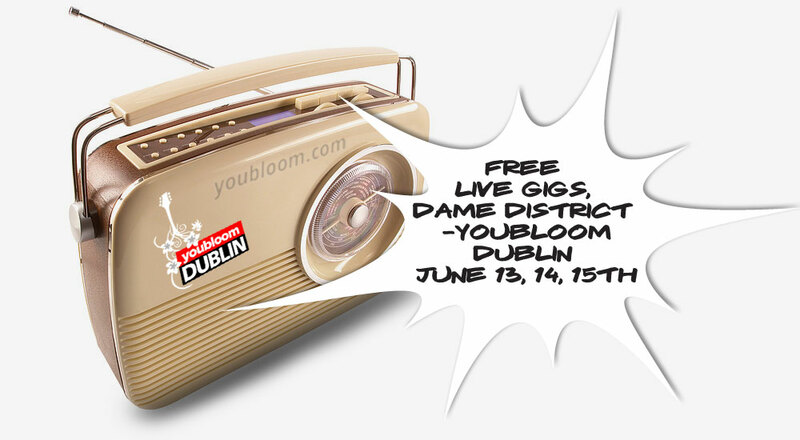 Otherwise enjoy the free live gigs, a full programme will be announced shortly but in the meantime check out the youbloom@Dublin host bands.